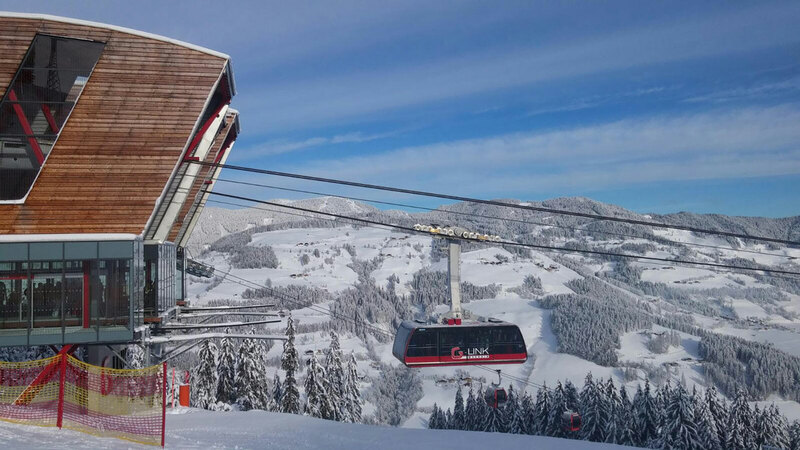 G-Link Wagrain is a cable car stretching over the valley between two ski slopes, connecting the middle station of the Flying Mozart gondola with the junction between the top station of the Grafenberg Express I and the bottom station of the Grafenberg Express II. Because of the 2,000 m long span a cable car system with a carrying and a pulling cable is necessary. 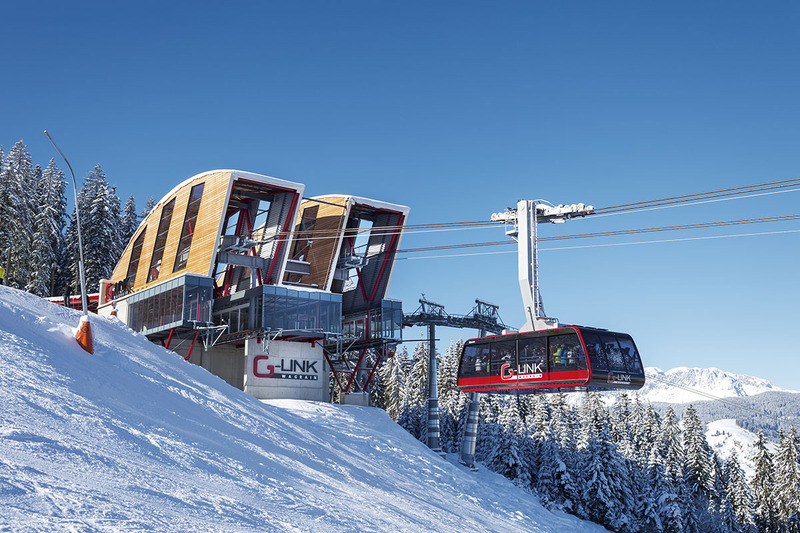 The cable car shuttle has two cabins, each with a capacity of 130 people plus a cabin attendant, with a maximum capacity of 1,300 people per hour in each direction. 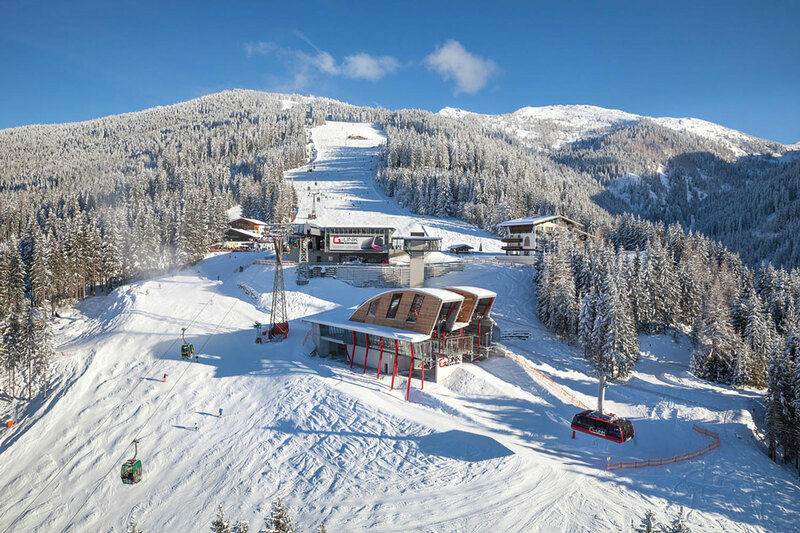 The bottom station of the G-link lies at 1,233 m and the top station on the Grafenberg at 1,240 m, giving an altitude difference of seven metres to be mastered during the six-minute ride. A cable sag of up to 150 metres is expected when the cabins are full. Two 35 m tall pylons have been erected near the lift stations. 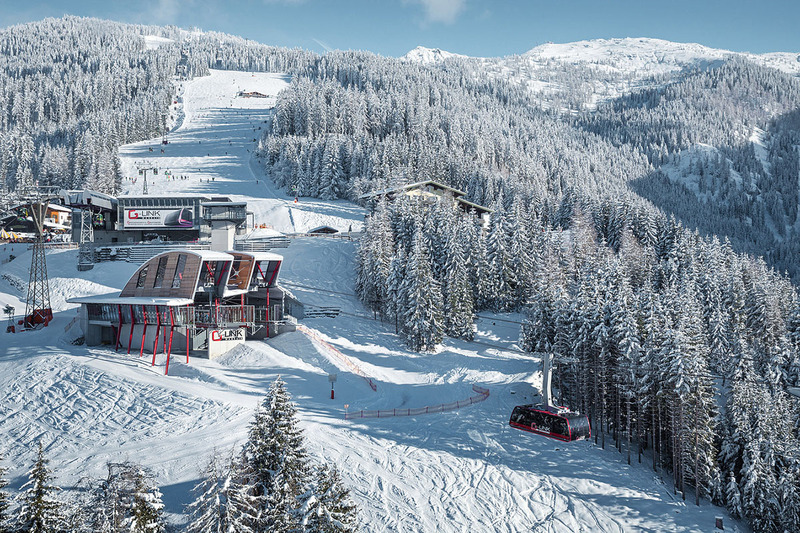 The maximum distance between the cable and the ground is approximately 232 m.
Elea iC provided shop drawings for the fabrication of steel structure of the mountain station.